A new Gael Linn publication presents a clear picture of the role of Irish in society, with particular reference to Northern Ireland. 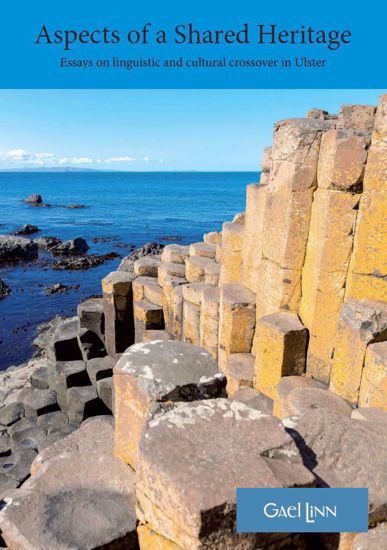 In a series of articles by experts in their respective fields, aspects of the Irish language and culture are explored in a very accessible style. A central theme of the book is that, while it may define a people, language is not the preserve of any one group of people. In her article entitled ‘Our land, our language’, Linda Irvine writes: As a people we are culturally rich yet, instead of embracing that wonderful cultural mix, we separate it into narrow divisive boxes and deny ourselves access to very things that make us who we are. Seamus Heaney has also written: ‘Not to learn Irish is to miss the opportunity of understanding what life in this country has meant and could mean in a better future; it is to cut oneself off from ways of being at home.’ The Irish language today exhibits the influences of cultural contact over the millennia. Aspects of a Shared Heritage gives examples of Christian-Latin influence on the Irish language: ‘leabhar’ and ‘scoil’, from the Vikings: ‘beoir/beer’ and ‘margadh/market’, and from the Normans: dinnéar/dinner, seomra/room. Irish, in turn, through various structures and words has made our form of English very distinctive eg. ‘He let a roar out of him’/ Lig sé béic as. The abiding influence of Irish may also be seen in our placenames and surnames, a topic which is explored in the book. Aspects of a Shared Heritage owes its origin to a Gael Linn project to faciltate greater understanding between communities in the North regarding their respective cultures. The scheme is supported by Foras na Gaeilge who have also contributed to this publication.